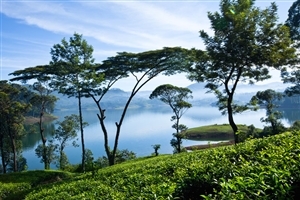 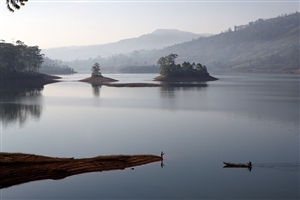 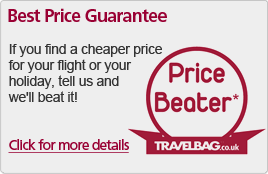 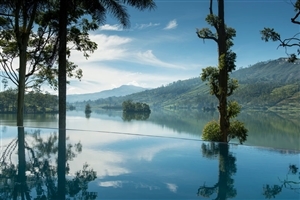 Nestled within the gorgeous tea gardens of Sri Lanka’s Central Highlands, the Ceylon Tea Trails are a warm and welcoming escape set amidst the high altitudes of rolling hills, mountain ranges, cascading waterfalls and winding roads. 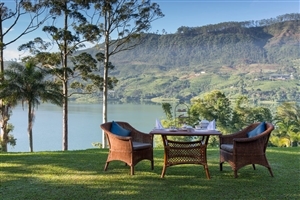 Consisting of a quartet of individually characterised colonial era bungalows, the resort strives for nothing short of excellence when it comes to providing a world of comfort, style and space for each of its guests to the gorgeous backdrop of one of Sri Lanka’s most stunning settings. 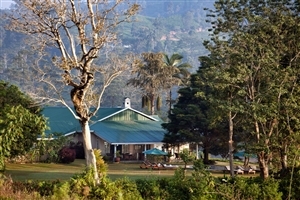 The area is ideal for exploration with the lush landscape housing great biking routes, scenic treks and exciting expedition opportunities to appeal to all manner of visitors while the resort itself is sure to guarantee a relaxing time with its top class butler service and in-house amenities coming together for a real royal treatment. 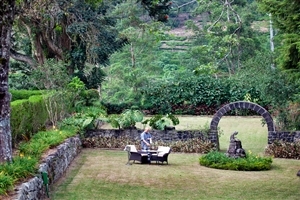 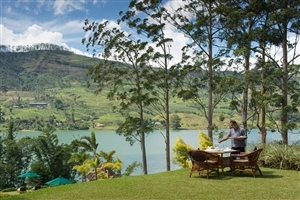 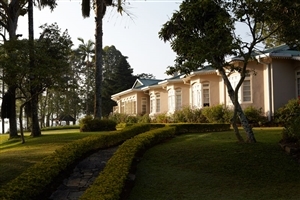 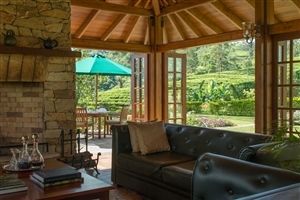 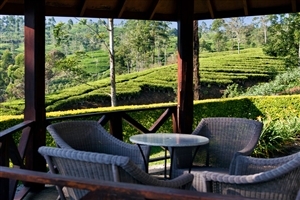 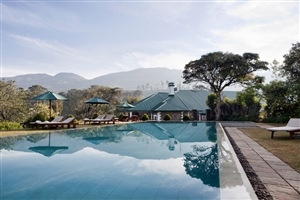 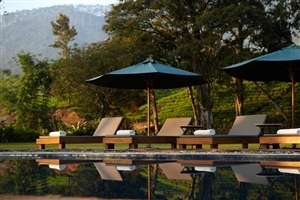 Situated deep atop the roving hills and plateaus of Sri Lanka’s Central Highlands, the Ceylon Tea Trails serve as a unique resort that invites travellers to ease back and let the soothing ambiance of this veritable paradise wash over them in one of four intricately designed colonial era bungalows, each with their own characteristics and each ensuring complete comfort. 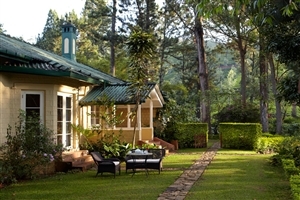 Perfect for those looking to relax and those seeking adventure, the tea gardens are surrounded by swaths of beautiful landscape that hold many bike routes, scenic vistas and expedition opportunities while the in-house amenities include personal butler service and plenty of space and style to entice even the most discerning of vacationers. 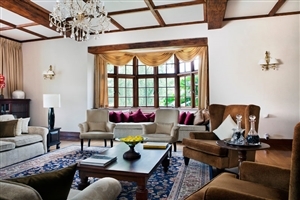 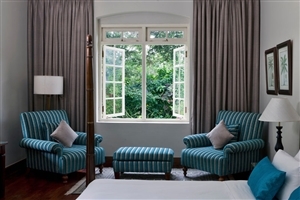 The Norwood Bungalow offers guests a comfortable accommodation whose sense of elegance and colonial designs come together to create a spacious haven filled with style. 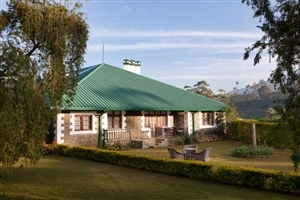 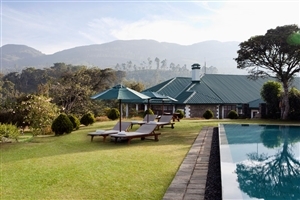 The bungalow features a lounge area, a swimming pool and a sun deck while also boasting of views that look out over the eastern portion of the Bogawantalawa valley. 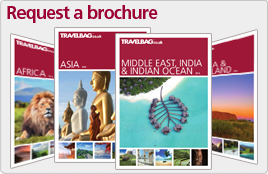 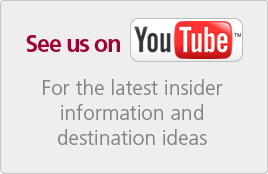 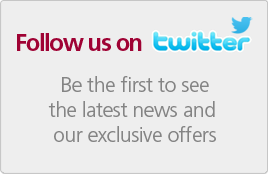 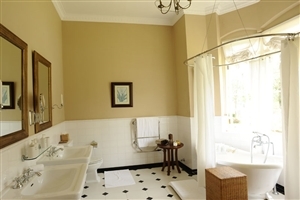 The Tientsin Bungalow offers guests a charming accommodation that combines British elements with lavish comforts, vaulted ceilings and wooden flooring to ensure traveller satisfaction through and through. 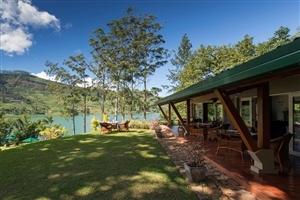 The bungalow features a living area, a dining space, a swimming pool and a tennis court while also boasting of views overlooking the mountains that lead out to the Horton Plains National Park. 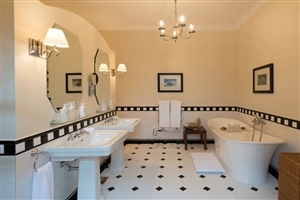 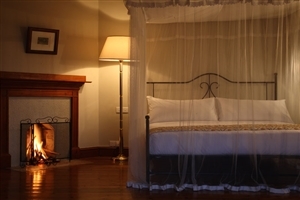 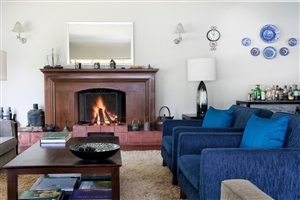 The Castlereagh Bungalow offers guests a beautifully designed accommodation that showcases some of the best aspects of the colonial era with its open fireplaces and parquet floors accentuating the generous amounts of space visitors can look forward to. 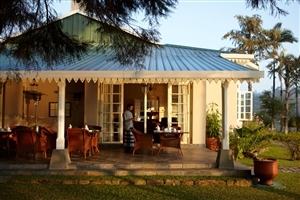 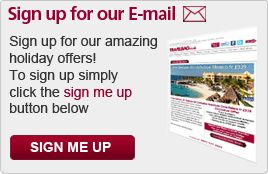 The bungalow features a living area, a dining space, a swimming pool and a croquet lawn while also boasting of views that stretch out across the water. 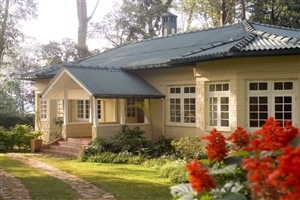 The Summerville Bungalow offers guests an intimate accommodation that stands above a lake at the edge of a plantation serving as the smallest of the bungalows but this by no means impacts its levels of comfort. 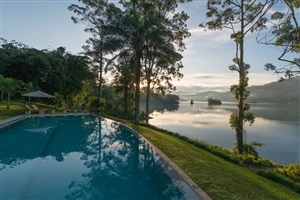 The bungalow features a living area, a dining space, a swimming pool and a sunbathing deck while also boasting of views of the water and mountains beyond. 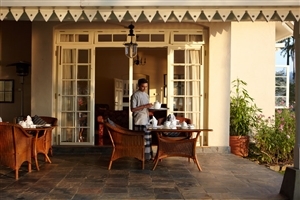 In-Room Dining – Begin the day with Bed Tea before enjoying an English or Sri Lankan breakfast followed by lunch, afternoon tea and dinner, all freshly served by your butler.